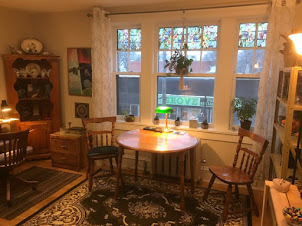 In professional service since 1982, Winnipeg based psychic Intuitive Tarot reader Trevor provides readings by appointment in a comfortable private reading studio or online. Find more about his work and inspiration here. Hi, my name is Trevor. I am a well known, Winnipeg based, psychic intuitive Tarot reader. Contact/Appointments for my schedule, rates and other information about sessions in person or online. About My Work for my history, background and approach. Videos/Articles for my process of doing readings, interpreting Tarot and other inspirational resources. Thank you for finding me, I look forward to hearing from you! Some thoughts on how to prepare for a reading (both for the reader and the client). Journalling before and after, looking at the bigger picture of our lives, not just the immediate questions. On the value of working with various styles of decks, the importance in training,of using a non illustrated Minor Arcana. I also touch on a little Tarot history and how decks evolve. For more information about my work as well as how to book an appointment, please visit the top sections of this page. Also wishing everyone a Happy Valentine's Day! On Building associations with the cards, visualizing the deck and seeing our "blind spots". I value constructive comments and suggestions for further videos and articles. Have a great week everyone! Working With Intuition, "Nudges And Leadings"
What sets us apart from others is at the same time the gift we can offer back. 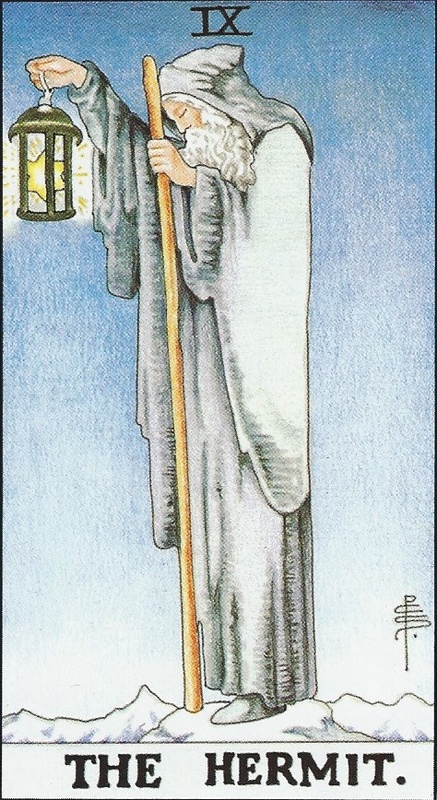 The Hermit card is about our individual journeys, the inside job we all have to do on our own, but we can share our inspiration. He stands alone on a mountaintop, but his light is seen from far away. Psychic readings can be many things to many people, both in what clients seek and what different types of practitioners offer. We all have our own gifts and our own unique expression. I offer what I do as perception (which is admittedly fallible), as well as an art form. It is an entertainment that should be taken respectfully with a grain of salt. Readings are NOT meant to in any way take the place of your own judgement. I do not offer or purport to be an authority on medical, legal, psychological or financial matters and concerns on those levels should be directed to appropriate resources. You are ultimately responsible for your life and decisions. You must be 18 years of age to have a reading. I reserve the right to refuse service if I feel this to be an unsafe or unsuitable resource. As a form of art, my kind of reading should be something that speaks to you, providing relevant information that encourages and inspires. As a teller of stories, a sharer of experience and as a perceptive intuitive psychic, I hope I can be of service. I welcome every reading as a new experience and an opportunity to mutually learn and share.